After screening THE GREATEST SHOWMAN, I continued to hum some of the films songs. The songs were both catchy and touching thanks in part to Benj Pasek and Justin Paul, the songwriters for the film. 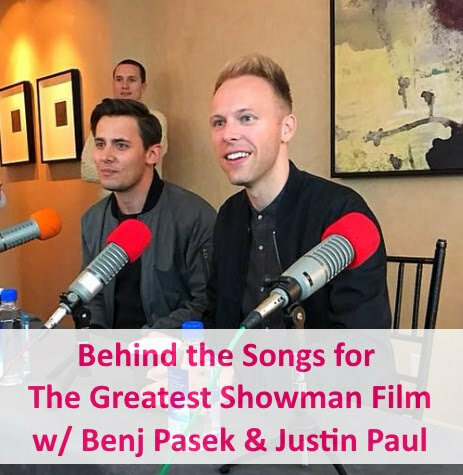 During the junket press interview, I had the chance to interview both Benj Pasek and Justin Paul about writing songs for THE GREATEST SHOWMAN. Justin Paul: So, the first time that we heard anything about this film was when Michael Gracey, the director, pitch the film. And we heard him tell this tale of how he wanted to make a film, sort of like the film that P.T. Barnum would have made about himself, this sort of larger than life figure who was an impresario, who was sort of the Steve Jobs of his time, the Jay-Z of his time, was sort of like the OG. You know what I mean? The part of that concept was, "I want to make the music contemporary and the choreography contemporary also", sort of talk about the fact that he was ahead of his time. And that sounded sort of crazy to us, and we were like, "We don't get that at all." Justin Paul: I remember reading the script and hearing him say that, and I was like, "That doesn't make sense." But that was also part of the intrigue of it and sort of made us feel like, well, that sounds like a really weird task and we're not sure how to do it. But that's intriguing, to try to, figure out that challenge and solve the puzzle. So, that's sort of where it came from. And Michael's so visual and the visuals in the film are so bold and colorful and hyped up. So, that sort of lends itself to a contemporary feel. Benj Pasek: I write more words. He writes more music. But we always begin the process together and we always end the process together. I think we would say probably, like, 80 percent of our time is just sort of knocking our heads against a wall or a piano and just trying to figure out what the concept might be. And then we go to our other--our separate little pods and he'll work on something and I'll work on something, and then we'll come back and weave it together in the end. Benj Pasek: But I think that once music and lyrics are paired together they can't really be separated, ideally. And so, we kind of like to take credit for both things because a song is really a united, you know, congealed piece of something that you can't really separate. And sometimes you'll underwrite a lyric to support a really soaring melody. Sometimes the melody has to get out of the way to just support a lyric that you really want to be heard. And so, we just try to work as closely as possible. Benj Pasek: This is Me was really inspired by the character. Everything for us starts with character, so the character of the bearded lady and these oddities, these people who have grown up living in the shadows, who have been locked in their parents' basements or attics and never really been sort of let out, and have been told their whole lives that they should be embarrassed about who they are, you know? Originally the song was written for Tom Thumb, and it was kind of like a little ditty. Justin Paul: It was kind of a little, like, folk tune on the ukulele. A song about how we're oddities and that's who we are, etc. And Michael just kept circling back to it. And he was like, "I think that that needs to be a different number. I think it needs to be a big anthem for the oddities. We need a real statement piece of them." Justin Paul: We didn't get how that's going to work in this moment in the film and also for that character. And so the song kind of came out of a lot of fighting back and forth with us and Michael being like, "Write the song." We're like, "We don't know how." He's like, "Write the song." Benj Pasek: When we started to think about it, though, for the bearded lady, for Letty. 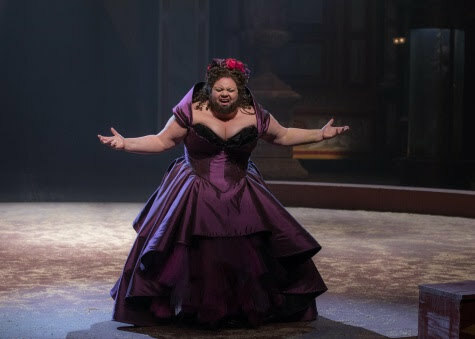 And Letty was being played at that time, even in workshops, by Keala Settle, who we knew from the Broadway world. We felt really lucky to be developing this with her. When we began to think about it, in her voice and what her voice is able to do and also what she brings to the table, just who she is as a human being and it began to really click for us about what the song could be. And then, Yes, This is Me came about. 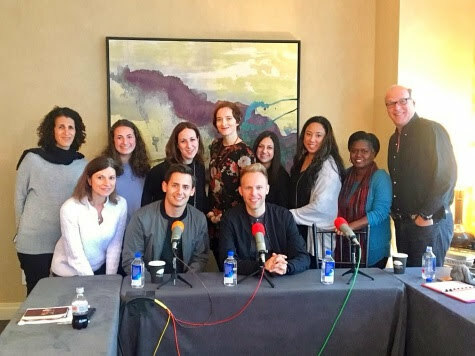 Benj Pasek: In terms of researching lyric content and thinking about that, I think we read every single slogan or advertisement coined phrase that P.T. Barnum ever had, to sort of think about what that language was. But then ultimately, the movie is sort of a storybook version of his life. And as I said before, Michael really talked about it. It's like is this the true story of P.T. Barnum? Not exactly. Is this the movie that P.T. Barnum would have made? Totally.